From the shores of Sydney to globally recognized band, TONIGHT ALIVE is living proof that you can achieve anything you like if you put your mind to it. Starting at a very young age the band has accomplished so much throughout their career. When I was in high school I didn’t even know what I wanted for lunch. When they were in high school Tonight Alive was recording their first EP. Since 2008, Tonight Alive have shared the stage with household names, sold thousands of albums, and have made a name for themselves in the rock music scene. Our whole idea of recording time was we wanted to be in a relaxed environment that fostered creativity and inspiration as that’s the kind of band that we are. The Aussie rockers are heading home and back to where it all began, revisiting all the rooms they used to play at when they first started. The Back To The Beginnings tour is kicking off in Canberra, then heading to Wollongong, Sydney, Newcastle, Brisbane, Adelaide and Melbourne. Having been touring overseas for some time now, Tonight Alive are excited to come back to Australia to play intimate shows for their fans. 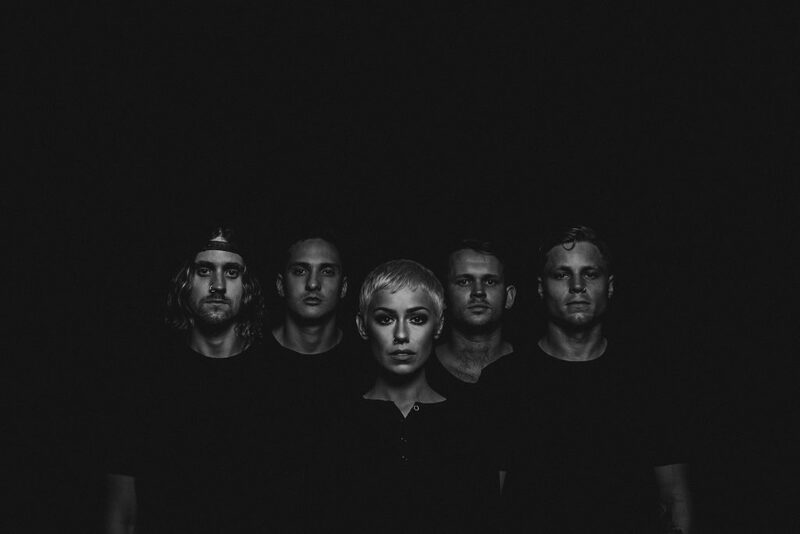 “We’re not going on town with production and all those things,” says lead vocalist, Jenna McDougall. “It is just about the setlist and a good time to get in touch with everybody [fans] and to remind them what it used to be like in a way. Since their third studio album, Limitless which was released in 2016, Tonight Alive somehow found time in their busy schedule to go to Thailand to record a new album earlier in the year. The recording process was said to be more relaxed and free. “Our whole idea of recording time was we wanted to be in a relaxed environment that fostered creativity and inspiration as that’s the kind of band that we are. We are the type people who never holiday and never have time off so it’s nice to combine the two”. Some bands can’t even make it to two albums so making it to four is saying something about their talent. The Aussie rockers have been going on for nearly a decade and it’s safe to say that the music industry is changing, but that doesn’t seem to concern them. Now unfortunately you don’t see a lot of girl member bands anymore, so Tonight Alive announced a rare competition for local bands with female members. The winners of each city would have an opportunity of a lifetime to support Tonight Alive in the opening slot of the Back To Beginnings tour. Supporting them throughout the whole tour is Melbourne band The Beautiful Monument, who might I add is an all-girl band and also Australian, which is a bonus. Throughout the shows you can expect a mixture of old favourites, as well songs from their new album. Having played at these venues already and being used to play to thousands of people, you wonder if the band will still get nervous before each show, or if it would be a breath of fresh air. Jenna McDougall has made a name for herself not only in the rock scene (and for her cool hair styles) but in the pop music scene also. She featured in Aussie rapper Illy’s single ‘Oh My’. Can we expect her leaving the band to pursue solo projects in the near future? Don’t worry… not any time soon. Having just kicked off a tour with American band A Day To Remember, it is safe to say that Tonight Alive is not stopping anytime soon, and thank god for that. TONIGHT ALIVE hit Canberra at The Basement on October 31. Tickets via livenation.com.au.